North South University (Bengali: নর্থসাউথ বিশ্ববিদ্যালয়) or NSU is the first  private university of Bangladesh. The university offers a number of undergraduate and Masters degrees in the fields of Business Administration, Computer Science, Telecommunications Engineering, Life Sciences, Pharmacy, Environmental Management, Economics, English, Architecture, etc. It also offers several courses for general and continuing education. About 10,000 students are currently enrolled at North South University. In its 2007 Convocation Ceremony, 518 students were awarded degrees in undergraduate and postgraduate programs. Zillur Rahman, President of People's Republic of Bangladesh is the Chancellor of the university (president of Bangladesh is vested with this authority to be the Chancellor of all universities in the country mpra  ) . Dr. Hafiz G.A. Siddiqi is serving as Vice Chancellor. NSU currently has 160 full-time and 125 part-time faculty members, all of whom, as a requirement, possess postgraduate qualifications from abroad, most of them from the United States, United Kingdom and Canada. A number of professors and lecturers from noted public universities such as University of Dhaka and Bangladesh University of Engineering and Technology serve as part-time / adjunct faculty members at the North South University. BRAC University (Bengali: ব্র্যাক বিশ্ববিদ্যালয়) is a private university located in Dhaka, Bangladesh. The University was established by BRAC in 2001 under The Private University Act 1992. . BRAC University had its first convocation in January, 2006. Mr Fazle Hasan Abed is the president of BRACU. In line with BRAC's continued support to education as a force of change and development, BRAC University has been established to provide a high quality of education to meet the demands of the modern age. BRAC University is 'not for profit' institution accredited by the University Grants Commission (UGC) and approved by the Ministry of Education, Government of Bangladesh. The mission of BRAC University is to foster the national development process through the creation of a centre of excellence in higher education that is responsive to society's needs, and able to develop creative leaders and actively contributes to learning and creation of knowledge. The university seeks to provide an excellent broad based education with a focus on professional development for students, in order to equip them with the knowledge and skill necessary for leading the country in its quest for development. Along with this, the university provides an environment for faculty development in order to ensure a dynamic teaching environment. Faculty will be provided with an environment in which they can further their teaching skills and contribute to the creation of new knowledge by developing and using their research skills. East West University (Bengali: ইস্টওয়েস্ট বিশ্ববিদ্যালয়) or EWU is a private university located in Dhaka, the capital of Bangladesh. It was established in 1996 by the Private University Act, 1992. Built around a centralized campus in Mohakhali, the university features a range of academic and extracurricular facilities - from a growing library visited by 2,200 users a day to 16 students clubs. Founded by eminent academic personality Dr. Mohammed Farashuddin, EWU offers a number of scholarship schemes, regular seminars that include discussions on subjects significant to national development, and a limited but diverse range of curriculum. In 2007, Webometrics ranked this university 3rd in all universities (1st among private universities) of Bangladesh and 64th in the Indian subcontinent in their World Universities Ranking based on web visibility of electronic publication, scientific results and international activities. 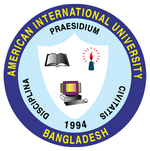 American International University-Bangladesh (Bengali: আমেরিকান ইন্টারন্যাশনাল ইউনিভার্সিটি-বাংলাদেশ) (AIUB) is a government approved private university of Bangladesh. It was established in 1994 by Dr. Anwarul Abedin under the Private University Act, 1992. The university is an independent organization with its own Board of Trustees. It is now a leading university in the country offering several degree programs both at graduate and undergraduate level from its four faculties. AIUB was awarded the “Best Business School” in 2004 by the Financial News Service (FNS), an economic news service which conducted a survey on the performance of all universities, and financial and industrial organizations in Bangladesh. In 2009,  ranked this university 1st among the Private Universities and 2nd in Bangladesh in their Colleges and Universities By 2009 Web Popularity Ranking list..In January 2009, Webometrics ranked this university 2nd in Private Universities, 4th in Bangladesh and 99th in the Indian subcontinent in their World Universities Ranking based on visibility of web presentation. City university (Bengali: সিটি বিশ্ববিদ্যালয়) is a private university located at Banani, Dhaka, Bangladesh. It was established in 2002. The university provides four computer laboratories, one digital laboratory, physics and chemistry laboratories, an extensive textile laboratory and On-Campus Job facilities for its students. Independent University, Bangladesh (Bengali: ইনডিপেন্ডেন্ট বিশ্ববিদ্যালয়) or IUB is a private university located in Bangladesh. It has two campuses, one at Dhaka and other at Chittagong. Its main campus at Dhaka spreads over 19 independent buildings at Baridhara. The university was established in 1993 by the Private University Act, 1992 and the out reach campus in Chittagong was opened in 1999. In January 2009, Webometrics ranked this university 1st in Private Universities, 3rd in Bangladesh and 75th in the Indian subcontinent in their World Universities Ranking based on visibility of web presentation. 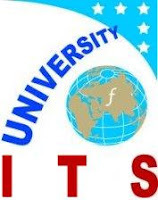 In IUB logo, the Blue Leaf represents the western tradition, Saffron Leaf the eastern. The middle Flame represents the synthesis of the eastern and western traditions. It also conveys the idea of purity.